If you want to make a donation (which allows me to spend more time on the development of the plugin 😉 ) from the admin page of the plugin, you are now redirected to the localized paypal welcome page, depending on the locale of your WordPress installation. The French translation was updated thanks to Vincèn Pujol, http://www.skivr.com as well as the Italian translation thanks to Luca Barbetti. On certain installations there were conflicts with other plugins (function redeclaration) which are now solved. A user also reported a problem that the TinyMCE button didn´t work if the admin-URL was different from the standard admin url. Both issues are now solved. 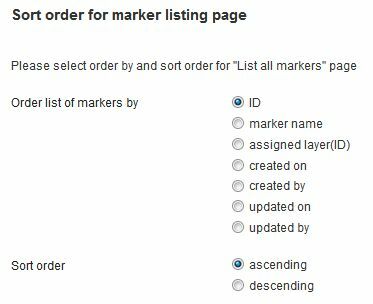 On some templates, the list of markers below layer maps was not as wide as the map due to CSS problems. This is now fixed. I changed the constant WP_ADMIN_URL to LEAFLET_WP_ADMIN_URL due to problems on some blogs.